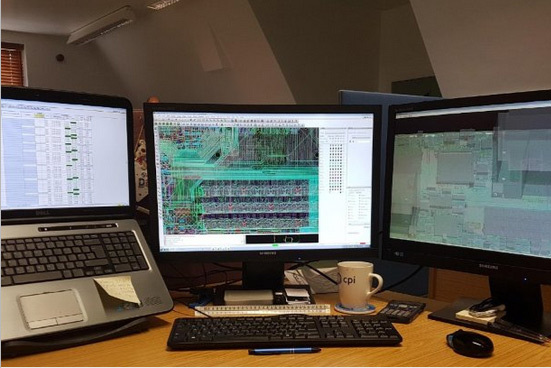 Check out our capability – this is a PCB layout we did a few months back, running layout resource in parallel – this layout was so complex, we had 5 engineers working on sections of the design at the same time, and helped out client meet their manufacture slot and timeline goals. Its a 16 layer build with 4612 components, 22744 holes and 19412 connections. All imp control with complex topology driven DDR constraints – and we were able only to use THP vias to help save manufacture costs.